Recently, Toyota introduced new options for families on the go: the 2018 Toyota TRD Sport full-size pickup truck and the Sequoia TRD Sport SUV. They add a dash of sporty style and performance to make the journey even more fun and exciting. The new Tundra TRD Sport is available in either 4×4 or 4×2 options, with CrewMax or Double Cab configurations. Powered by a 5.7-liter i-Force V-8 engine that produces 381-horsepower, the truck adds TRD Sport Tuned Bilstein Shocks and front and rear anti-away bars to enhance performance. With color-keyed hood scoop, mirrors and bumpers, the truck will feature 20-inch allow silver sport wheels for a cool exterior appeal. The Sequoia TRD Sport also comes in 4×2 or 4×4 models that are equipped with the 5.7-liter i-Force V-8 engine, Bilstein shocks and anti-sway bars. Exterior features include black satin finish TRS Sport badging, metallic black mirror caps, 20-inch alloy black sport wheels and a new front grille and bumper grille insert. Toyota expects that the Tundra TRS Sport and Sequoia TRD sport will arrive at dealerships in September. 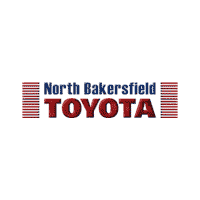 Contact North Bakersfield Toyota to learn more about our selection of Toyota vehicles.